How Do I Freeze Pita Bread? Many grocers freeze their pita bread and then place it on the shelves as demand increases. After all, pita isn't like sandwich bread in many small towns. It just doesn't fly off the shelves, so the most economical way to keep it in stock is to freeze it. If your supermarket can freeze it, then you can too! If you want to freeze in the original packaging, you can simply wrap the package in aluminum foil and pop it into the freezer, too. The aluminum foil will provide extra protection against freezer burn. Pita can stay frozen for a few months, but remember that the longer it is frozen, the dryer it will become. Thawing is as easy as leaving it on the countertop until thawed. You don't have to remove it from the freezer bag or packaging; just thaw it in the same packaging as you froze it in. You can also sprinkle some water on an individual loaf and heat it in the microwave for about 10 seconds for quicker thawing. Do not defrost in the toaster oven; the result is extremely crunchy, much like potato chips, but thicker. Making pita bread is a cost-effective alternative to buying it in the store. 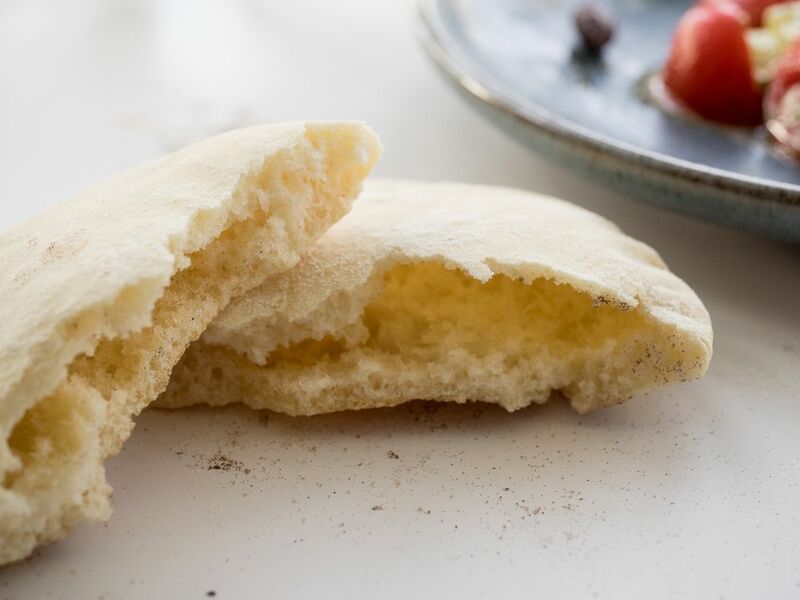 Baking your own pita is super easy and requires ingredients that you probably already have in your pantry, like flour, yeast, salt, and sugar. It can be a little time-consuming, as there are a couple of steps like letting the dough rise.